Dozens of filmmakers, producers, distributors and actors will converge on Guadalajara March 4-13 for Latin America’s most prestigious cinema carnival. Invitees of note attending at the 31st Guadalajara International Film Festival will include German/Swiss director Marc Foster (Monster’s Ball, Finding Neverland, Stranger than Fiction, The Kite Runner, Quantum of Solace, World War Z) and Alfonso Arau, the Mexican director of A Walk in the Clouds and Like Water for Chocolate. Actor Ron Perlman will be honored for his appearances in movies by Mexican director Guillermo del Toro, including the Hellboy series. Guest country Switzerland will screen 30 films. Alain Gsponer’s 2015 remake of “Heidi,” will open the festival Friday, March 4, 8 p.m. at the Auditorio Telmex. A list of English-language films at the festival. Nine metro-area venues will screen films of various genres (features, documentaries, shorts). Organizers are hope to exceed the 110,000 movie-goers who viewed last year’s selection of films. The charity gala series at the Teatro Diana begins Saturday, March 5, 9 p.m. with the screening of “Mr. 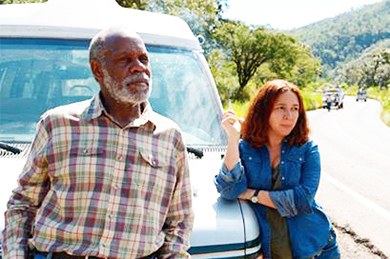 Pig,” an English-language feature set in Jalisco, directed by Diego Luna and starring Danny Glover and Maya Rudolph. Both U.S. actors are expected to attend the Mexican debut of a film that is the first feature to receive financial backing from recently set up Comisión de Filmaciones del Estado de Jalisco (State Film Commission). The rest of the gala series is as follows: Sunday, March 6. 5 p.m.: “Little Mountain Boy” (Switzerland-Germany). Sunday, March 6. 9 p.m.: “Latin Lover” (Italy). Monday, March 7, 9 p.m.: “La passion d’Augustine” (Quebec). Wednesday, March 9, 9 p.m.: “Kicking Off” (United Kingdom). Thursday, March 10, 9 p.m.: “Sundown” (United States-Mexico). Tickets for the galas cost 100 pesos and proceeds are earmarked for worthy local non-profit organizations. For more than three decades the festival has been Latin America’s premier showcase for new work from Mexican, Spanish-language and international independent filmmakers. It also serves as an important meeting point for the region’s film industry; away from the galas and screenings, dozens of deals are habitually signed during FICG. Fourteen films from Mexico, Germany, France, Chile, India, Czech Republic, England, Brazil, Italy, Ireland/Cuba and Israel will compete for the Best Film award, the Premio Maguey. There are also prizes for the best Mexican feature (Premio Mezcal); best Iberoamerican feature, documentary and short film; as well for best director, screenplay, director of photography, actor and actress. A host of other ancillary movie-related events include workshops and seminars (Talents Guadalajara, DocuLab Guadalajara), for both students and established filmmakers. For more information, go to ficg.mx.